Patients with locally advanced non-small cell lung cancer (NSCLC) are treated for cure, but treatment decisions are not straightforward. Chemotherapy is essential due to the high risk of systemic relapse, but local therapy is also required for cure. In the small subset of stage III patients with N0 or N1 disease, surgery is typically the initial therapy and extended resections are frequent. The majority of IIIA patients present with N2 disease and treatment paradigms for these patients are controversial, particularly concerning the role of resection. Surgery has a limited role in bulky IIIA, IIIB, and IIIC disease, which is typically treated with combined systemic therapy and radiation. The authors believe that in resectable IIIA disease, the addition of surgery to multimodality treatment appears to improve local control and overall survival. 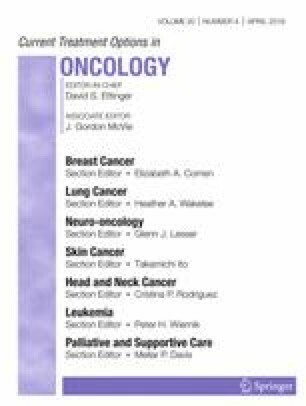 Induction therapy is essential, and the use of chemotherapy alone or chemoradiotherapy remains an area of debate. Pneumonectomy should be used with caution in IIIA disease, as numerous prospective trials have noted excessive perioperative mortality. The introduction of immunotherapies in this stage may quickly transform treatment decisions. Darren S. Bryan declares that he has no conflict of interest. Jessica S. Donington has received honoraria and reimbursement for travel expenses from AstraZeneca.